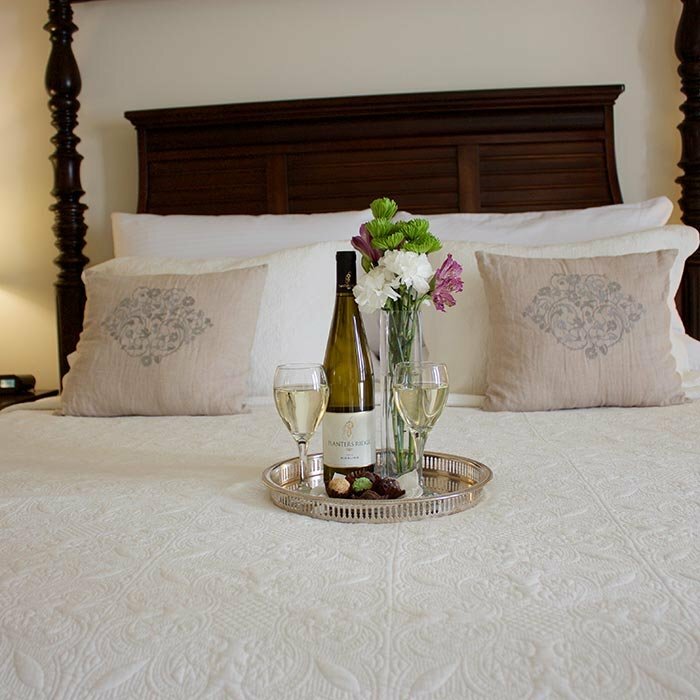 Tattingstone Inn offers fourteen beautifully appointed rooms, five in The Main House and another nine in The Carriage House. Nestled on an acre and a half in the heart of Wolfville, Nova Scotia, Canada and minutes to Acadia University. The grounds are beautifully landscaped with an in ground heated pool, several mature trees including rare butternut trees, peach and pear trees, and numerous herb gardens. Welcome to Nova Scotia. 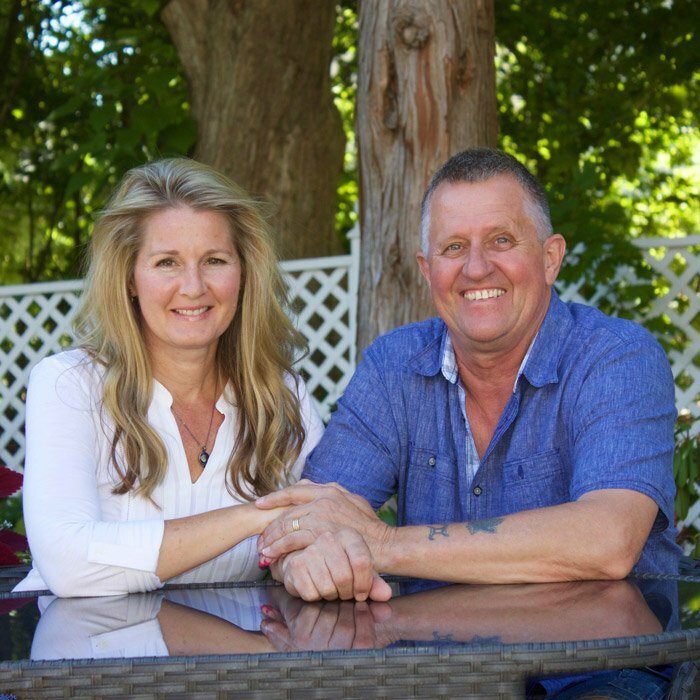 We are Randy and Erika, the Innkeepers at Tattingstone Inn. With our passion for customer service and meeting new people we moved to this wonderful town and purchased the Inn bringing several years in the hospitality business with us. After visiting the Annapolis Valley some fifteen years ago we fell in love with the area and Wolfville in particular. With a desire to be close to family and friends and continue working in hospitality, we felt that Wolfville was the place we truly wanted to be and by good fortune the previous owners agreed to sell us Tattingstone Inn. We have a strong and proven resume in hospitality and are eager to add our own personality to the storied history and traditional charm this Inn has a reputation for. 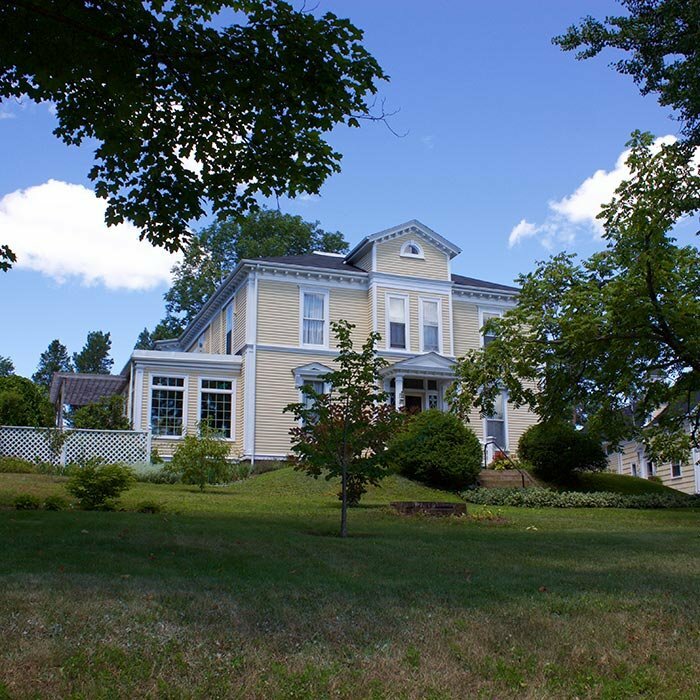 Originally known as Thompson House this Italianate-style home was built in 1874 as a farm house and home to an early Mayor of Wolfville, George Thompson, who served as mayor from 1897-1902. This registered historic landmark’s most noted occupant was Leslie R. Fairn, an outstanding Canadian architect who designed many public buildings in Nova Scotia and Wolfville. He lived in the house for over 35 years and during that time he supervised the construction of Acadia’s University Hall as well as many other buildings in the community such as McConnell Dining Hall, and Eastern Kings Memorial Hospital. He kept his office and workshop in the Carriage House and raised his family in the Main House. In 1987 the property was purchased by a known Halifax restaurateur, Betsy Harwood. After extensive renovations the property was transformed into this elegant Inn. The name Tattingstone was a small village in England derived from Betsy’s family tree, where an ancestor had resided in the late fifteenth century. Whether your stay at Tattingstone Inn is brief or extended the Inn boasts several amenities to enhance your stay. During the summer relax on our newly renovated outdoor space where you can indulge in a nice glass of local wine, spirits or craft beer from our bar menu. On cooler days relax in our cozy living room in front of the fireplace with your favourite book or choose one from our library and savour a warm cup of tea from our selection of regular and herbal flavours. We are happy to assist you in planning the perfect day with such activities as golf, winery tours and restaurant reservations.